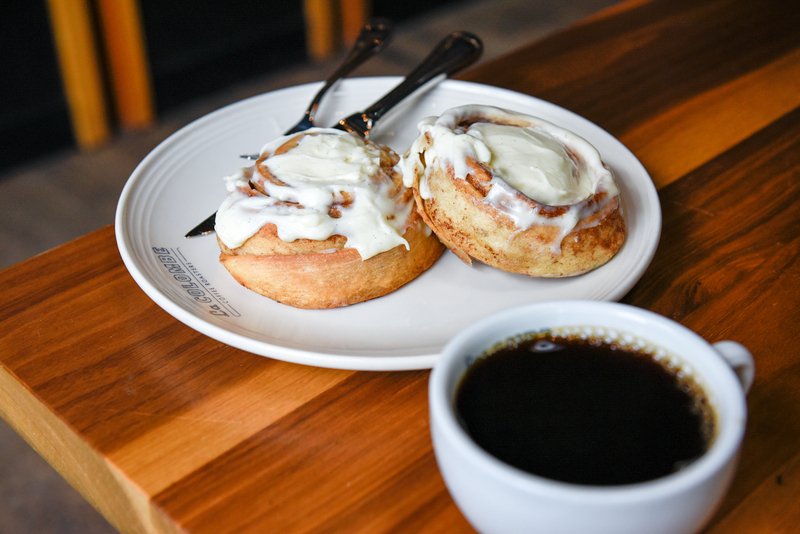 At our Fishtown café, we want to provide an inspired breakfast. This week, we visited with our head pastry chef, Angela, to see how she makes our skillet-warmed Cinnamon Buns. These aren’t your mama’s Cinnamon Buns. These are Cinnamon Buns the La Colombe Way. Here’s the basic process: flatten out a large sheet of dough, spread the cinnamon filling over it, then carefully roll up the dough and slice off buns to be baked. Here’s where the inspiration comes in: when you order a Cinnamon Bun at the Fishtown, we don’t plop it on a plate and hand it to you. We put it in a skillet and warm it in our wood-fired oven with some house-made icing over top. Add coffee and you’ve got a bangin’ breakfast.